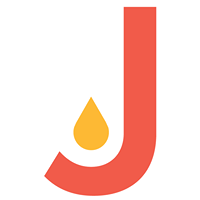 Juicer is a simple way to aggregate all of your brands' hashtag and social media posts into a single beautiful social media feed on your website. KUKU.io helps small businesses, marketing agencies and in-house marketing teams schedule posts, build content plans, analyse content and manage social media in teams. We officially support 10 social networks: Instagram, Facebook, Twitter, Telegram, Linkedin, Google+, Tumblr, OK.ru, Vkontakte, Pinterest. You can choose pricing plans with unlimited posting capabilities and plan content without any restrictions and risk of a ban. Social media analytics in KUKU.io tracks likes, comments, clicks, shares, reach and followers growth. Users can analyse content, compare social media accounts and team members. The content calendar includes information in a user-friendly interface about posts, social networks, attachments, posting time. In KUKU.io users can add team members to manage social media together, add roles and monitor each member results in social analytics. All these KUKU.io modules can be added to your product, set up on your servers and customized. Manalto Limited (MTL.ASX) is a U.S. based global provider of cloud social media management solutions. Manalto’s proprietary software delivers capability for the streamlined management of social media at scale – including controls to support organizational brand management, reputational risk management and efficiency in managing users, community engagement and analytics. An enterprise can centrally publish content and update brand assets across hundreds of its organization’s social media pages spanning multiple platforms – in just one click. Manalto offers a direct-to-market Enterprise Solution and a Business Application for Channel Partners to offer to SME’s – ‘Sóshlr’. Manalto is headquartered in Washington, D.C. with offices in the Netherlands, Australia and South Africa, and supports channel partners and customers globally. Manalto’s pricing is customizable based on an individual organizations' needs. Visit manalto.com to request a demo and additional pricing information. MarketingStinks.com is a professional Social Media Marketing Company. It is dedicated to organically increasing the reach of your Instagram through targeted engagement campaigns. A platform that unifies all digital media into one wizard & lets you manage campaigns using data points. MonsterSocial allows you to automate multiple profiles on multiple social networks doing multiple features using multiple proxies! Let MonsterSocial focus on your social impact so you can focus on your business. Mr. Social is a social media scheduling and engagement platform. SocialShare is a marketing platform to construct and manage outbound social marketing programs. Nouncy is a marketing tool to create a buzz on social media. NukeSuite is the best social media management platform to create, publish and measure brand content performance across digital and social media channels. It is a powerful platform to grow your online communities, collect essential social data, target better & drive conversions. Start managing your social campaigns, connect with your audience and improve the results of your business is much easier than you imagine. You just have to choose the tool that best suits your needs. Pagelanes is a social media management and customer support tool made for team-based collaboration. PostCreator is a tool to create branded social media posts. Profilze is a mobile platform for iOS and Android enabling users to brand their social media profiles together and explore others' pages. Promolta is a youtube video promotion platform. QID is a solution that aggregates and organizes digital information into a single mobile-friendly web application that can be captured. Hand curated content suggestions for social media platforms. With built-in social media syndication and scheduling capabilities, ad boosting, analytics, reputation management and more, Rallio is a smarter, simpler way for brands to maximize social marketing efforts. Rallio technology provides a complete social media ecosystem allowing manufacturers, corporate brands and their locations, employees and customers to build a local community, share experiences and drive local business. Rannko is at the forefront of digital reputation management, helping business owners large and small grow their brand and improve public perception. Turning your customers into your very own brand ambassadors. Concentrating on “Local First” Rannko is able to help your business flourish through our intuitive easy to use platform that features three key products; Review Management, Meerkat Social Media & PowerListings Management. Rannko is your hub, your central command and online personal assistant that brings together reputation, social and networking. Primary Products: Review Management - Make maintaining an online presence and interacting with your customers simple and effective. Consolidate reviews from multiple platforms to one single timeline. Our review management system makes achieving 5 star customer satisfaction as easy as a click of the mouse. Meerkat Social - Interacting across all of your social networks has never been easier! Create a customized weekly scheduling queue for scheduling posts. Share industry related curated content from 1 of our millions of article and get a consolidated look at timeline and brand assets all with the push of a button. PowerListing Management - Take back control of your online brand across 60+ digital services & citations, synchronize your business info, rank higher and be easily found across the web no matter what platform or device your customers use, thus enhancing your SEO and search results. Rarog provides a solution for hypertargeted Twitter campaigns. Reach7 Platform is enabling individuals and businesses to expand their social reach by engaging with a relevant audience in any market. Refollow helps growth marketers, influencers, and intelligent people build networks of like-minded friends and followers. Relaxed Social helps to gain REAL followers and REAL engagement on Instagram. Free social media monitoring and reputation tracking software. Resurface is a social media marketing software that was made for professionals who use social media to promote their evergreen content. It eliminates the repetitive rescheduling of posts. Retortal is a social media management dashboardthat helps organizations to manage their social accounts. Rivuu is a social media management tool. Roosterly helps businesses and professionals get noticed. It helps individuals and small businesses build their personal brand, grow their network and increase sales by engaging with their social networks through quality curated content from top publishers. Sara Agency's proprietary software works 24/7 to interact with thousands of your potential followers on Instagram . SelfMade is a venture-backed technology company with headquarters in NYC and offices in Austin and Jakarta. The simple social media marketing tool that helps you create buzz. Simplify360 is one of the leading social customer service platforms. The company has physical presence in India and US, and has partners in APAC. The product is sold in over 100 countries directly or through partners. Simplify360 provides integrated enterprise solutions; their latest offerings are Social CRM and Social Media Command Center. Simplify360 Social CRM enables customer support teams to serve their customers across social media. It offers unified view of customer engagement across the social media and a 360-degree view of customers through deep integration with Enterprise CRM. SmatSocial is a powerful social media marketing automation tool that helps your business to generate trending content, schedule your social media posts, grow your brand and audience with ZERO advertisement cost. Smync is the Social Word-of-Mouth Marketing Platform. They empower brands and agencies with the tools to identify, foster, and amplify brand enthusiasts and ignite social brand advocate communities, delivering Return on Advocacy. Snaplytics is the platform for all your story marketing needs. Finally, you can work on your Snapchat and Instagram handles on desktop! Schedule content, monitor opens and export reports in one place. Even better, you can also track your competitors, user-generated content and messages to further boost engagement. Whether you're managing multiple accounts or working with a team, Snaplytics can help you optimize not just your socials but even your day-to-day workflows!